What a great way to way to decorate a sports fan's room . 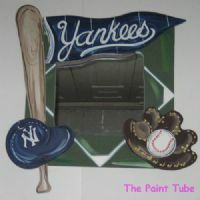 The baseball bat, glove,cap and pennant are 3 dimensional. Any baseball team can be done.